Ask & Answer: How long does Alcohol stay in your system? Many people want to know the answer to the question: How long does alcohol stay in the system? Or: How long does alcohol remain in your urine? Why would they care? That’s because these are important questions to answer if you want to avoid being arrested for a DUI offence following a drinking spell at the bar. The police may require a test as part of their investigation, so the less alcohol you have in your system, the better. Concentrations of alcohol in the body have led to many road deaths and casualties. They’ve been associated with temporary memory loss, poor judgment, incoherent speech and reckless behavior. You might be required to enroll in an alcohol detox program and you’ll want to know how quickly you can reach sobriety. Many current and prospective employers now also routinely conduct alcohol tests. Absenteeism, lateness and a foggy brain will affect productivity. So if you’ve been drinking before work or before a job interview, you’ll want to know how quickly you can expel the alcohol from your system. Your future could depend on it. It’s a good idea to abstain from drink several weeks before an interview. You might also be worried about your health. If you never give alcohol a chance to exit your system, and add more and more of it overtime, it will end up having a dangerous effect on the functions of organs such as the brain and liver. So having a sense of the process by which alcohol becomes metabolized in the body, as well as monitoring your blood alcohol content, can help save you from binging, from death by overdose, and also from alcohol addiction with all its related health disorders. So, in a nutshell, alcohol use disorder is a growing problem in the U.S. Over 80 000 people are said to die each year from alcohol overdose, DUI, liver failure and other alcohol-associated conditions. 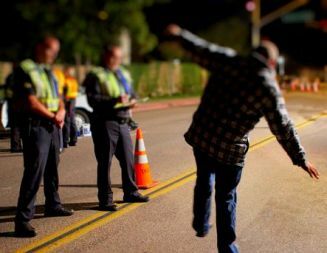 Alcohol impairment can cause public safety issues so there are federal and state laws that require routine urine drug tests by law enforcement sources, and employers. What constitutes a single drink? Moderate drinking is all about having a single drink per day, if at all. This enables the alcohol to be flushed out of your system and urine much more easily. However, even if you have just a drink or two, the alcohol will not be obliterated from your system as quickly as you think. It takes some time to disappear and even if you ingested a minor amount, it can be detected through an alcohol test. Nothing you do can mask the existence of this alcohol. You can be a heavy drinker without being an alcoholic. You could also be a binge drinker. That is, in just one drinking session, you can allow yourself as many as 4 drinks if you are female and 5 drinks if you’re male. This kind of drinking may not be an everyday thing. It may be episodic. There are a number of free and confidential tests online to help you determine which category you fit into. Some of these tests involve multiple choice questions. Others require answers of the yes/no variety. How is the alcohol dispersed within the body? To understand how long alcohol will remain in your system and in your urine, you have to understand how it behaves when it enters the body. The majority of it goes to the bloodstream and the remainder is dispersed to the urine, hair follicles, stomach and other parts of the body. How does the body get rid of the alcohol? Once alcohol enters your system, it starts to disintegrate and is gradually ejected from the body through natural means. Around 9 percent of it is expelled through the kidneys via urine, 1 percent is expelled through breathing, sweating and weeping, and the 90 percent in the bloodstream is obliterated by being metabolized and broken down by the liver. What is BAC and how does it work? The acronym BAC stands for Blood Alcohol Concentration. It’s important to learn all about it because it will help you to determine how long the alcohol will stay in drinking bout. However, while a test will detect the level of BAC in your bloodstream, it will not determine the source of the alcohol. So you may drink anything from ordinary beer to rum, gin or vodka, or even a mixture of the lot and still the test won’t be able to differentiate between them. However, the higher the BAC the higher your level of impairment and the longer it will take you to fully get rid of the alcohol from your system. If you weigh 150 pounds and decide to have a single drink in an hour, your BAC will increase by around 0.02 percent. This effect starts to happen within 10 minutes of your drinking starting. The process is slower than you’d think because the body can only burn 0.016 of this each hour. This means that each hour, the body gets rid of less of the BAC than it took in. So your BAC will keep rising slowly even if you limit yourself to a single drink each hour. It will obviously be speeded up the more drinks you have in one hour. Some people have been known to have 5 or more. If you stop at one drink, your BAC will decrease by 0.016 percent each hour after that. An alcohol test kit meant for home use can help you trace your regularly declining BAC. 02 to 0.04 percent BAC means that your driving skills and judgments are becoming more and more impaired and you have to be more cautious. 08 percent is the lawful intoxication level in the majority of states but not so for people below the age of 18 who are considered to be illegally intoxicated. But adults with this level could still face criminal charges if involved in a DUI offence. 11percent and upwards indicates that you are drinking more and more heavily and are feeling more and more nauseous. You could become increasingly reckless of the roads. Criminal penalties are likely. 30 percent and beyond means you are on your way to losing consciousness or have lost it altogether. Death is even a possibility at this level. The best way to get the alcohol out of your system and out of your urine is to allow it to be expelled the natural way. The majority of the alcohol absorbed into your system is metabolized via the liver. This is the quickest and most efficient way for the alcohol to exit your system. So the liver’s primary function is to metabolize and rid the body of alcohol so that a little or none of it shows up in the urine, blood or other parts of the body. As alluded to before, your body can burn off only around 0.016 percent of blood alcohol concentrate per hour. That’s if your liver is healthy. However, this alcohol burn off amounts to less than a single drink. Never-the-less, it’s the standard burn off per hour for a healthy liver. For each hour that you don’t drink, that amount is still being metabolized within the body and still exiting it. So if your BAC was 0.08 after an hour without drinking, your BAC would drop to 0.064. It would keep on dropping at levels of 0.016 until all of the BAC is gone. These are the calculations you need to do to get a rough sense of when your body would be completely alcohol free. You could download the BAC chart or bookmark it and refer to it constantly. The 0.016 burn off is the regular rate at which the alcohol is metabolized in the liver. You won’t burn off more than that, even if you use every trick in the book such as drinking lots of water or strong coffee, taking cold showers, sleeping off the effects of the alcohol, forcing yourself to vomit, or taking a laxative. These methods cannot process or metabolize the alcohol for you. Only your body can do that. You’ll have to simply wait it out. You probably shouldn’t rush to take the test, either. Just imagine for one moment that you were able to keep your drinking down to the level of just 0.016 percent BAC for each hour. Well your BAC level would be nil. This would constitute a very small level of alcohol and therefore it would not be an attractive prospect for many people. It takes only a little time for the alcohol to be absorbed into your system and urine, once your drinking starts. It takes just half an hour to 2 hours for a single alcohol drink to be totally absorbed into the blood stream. So the unfortunate reality is that while on the one hand the alcohol is very quickly absorbed into the blood stream, on the other, it is metabolized at a more leisurely pace. This process can’t be rushed. So, as we’ve established, it basically takes an hour to burn off a BAC of 0.016 percent. So the best way to establish how long alcohol will stay in your system is to monitor the level of alcohol you’ve taken in and bear in mind that for each hour after your last drink, you’ll burn off far less alcohol than you took in. 15 hours for 0.24 BAC level. The more the alcohol you allow into your system, the more of it that needs to be metabolized. This metabolizing process starts once the drinking begins. 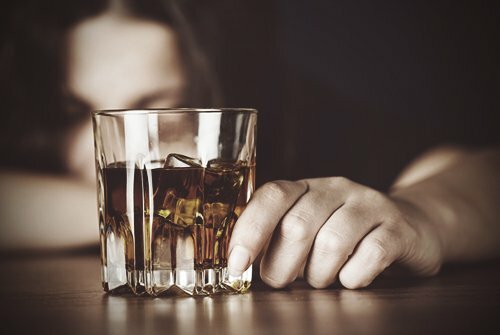 If you drink heavily, or you’re a binge drinker (that is, if you’re a person who takes 4 to 5 drinks per drinking stint), your liver is not functioning optimally so it will take longer for the alcohol to exit the body especially if you continue to take in alcohol more quickly than the liver can metabolize it. You will continue to regularly fail alcohol tests. So how long will it take me to sober up? You’ll be anxious to know how long it will take you to sober up if you’ve got to take a urine test for legal reasons or for work-related matters. Or if you’re undergoing an alcohol detox program and are anxious to get on with your life. Having a rough idea of the blood alcohol concentration (BAC) in your system will help you calculate how long it will take for your body to clear itself of the alcohol. While you are doing your calculations, you should also be aware that the alcohol exits the various parts of the body at varying times. The amount of alcohol you’ve taken in is a crucial determining factor, as well as the type of alcohol involved, and its potency level. For example, you could have taken beer, rum, whisky, vodka or all of them. You also need to consider the amount of time that has elapsed since you took your first drink. Men and women are not affected the same way by alcohol ingestion. Women typically absorb alcohol at a faster pace than men do. The male body can withstand greater levels of alcohol because its water content is more considerable. Men’s water weight is approximately 10 percent more than women’s. They also have more of the hydrogenase enzyme that wears down the alcohol in the stomach. The effect of all of this is that a woman will have a higher BAC than a man. To take a real life example, a 140-pound man who takes an hour to ingest 2 drinks will have a lower BAC than a woman who weighs 140 pounds, and has two drinks within an hour. The BAC chart will tell you how much BAC you ought to have in your system based on your weight. For example, a man who weighs 100 pounds, and who decides to have 2 drinks, will have a BAC of 0.08 percent within an hour, while one who weighs 160 pounds should have a BAC of 0.05 percent. Similarly, a woman who weighs 100 pounds and has 2 drinks will have a BAC of 0.09 percent within an hour while a woman who weighs 160 pounds will have a BAC of 0.06 percent. When you drink on an empty stomach, the alcohol needs little or no digestion, so it makes its way rapidly to the small intestine. However, you could slow down the absorption of the alcohol into the bloodstream by having a meal before or during your drinking bout. Having food in the intestines and stomach while you drink may delay the amount of time needed for you to become fully intoxicated. This is because the stomach enzymes are focusing on processing the food rather than the alcohol. The process of slowing down the absorption of the alcohol into the bloodstream ensures that the BAC reaches its height in between 1 and 6 hours following the last drink instead of between 30 minutes and 2 hours after the last drink. The latter is what would happen if you were drinking on an empty stomach. Additionally, foods high in protein slow down the process by which alcohol is absorbed into the body, more than foods that don’t contain protein. Additionally, it is possible for the metabolism process to be influenced by genetic factors, and by whether or not you have mixed your alcohol with other drugs. Young people eliminate alcohol from their systems more slowly than adults do. That’s because the enzyme responsible for eroding the alcohol has not fully developed in their bodies. The liver usually does an efficient job of breaking down and expelling the alcohol. However, chronic liver disease affects the rate at which alcohol can be metabolized by the liver. It can slow it down considerably. Other drugs you may be taking at the same time as the alcohol will likely vie with ethanol for the enzyme that splits up the alcohol. The effect of this is the slowing down of the rate at which the alcohol will be eliminated. How do I slow my level of intoxication? There are a number of ways in which you can slow the rate at which alcohol goes into your system. One way is by taking little sips of your drink instead of gulping it down. The effect of the sipping is to get as little alcohol as possible into the system within an hour, for example. You should also try to reduce your alcohol intake to just one drink per hour. You could also consider drinking water in between your alcoholic drinks. This will reduce the speed with which the alcohol is absorbed into your bloodstream. It can also dilute the alcohol and speed up the rate by which it is excreted via sweat and urine. It should, however, be remembered that while drinking lots of water in between alcoholic drinks may slow your rate of intoxication, it does not speed up the exit of the alcohol from the system. There’s no way of speeding this up. Don’t opt for quick fix methods such as abstaining suddenly or trying to detox on your own. Self-detoxing can be particularly dangerous. It’s not normally given the go-ahead by medical experts. The withdrawal symptoms can be too severe for you to control by yourself. When you abruptly stop drinking or drugging, you become very ill and your cravings become acute. What the detox process does is to sharply change the brain’s chemical roles leaving the body in a state of confusion. This may trigger deadly conditions such as seizures and undermine the efficiency of the heart and other organs. Other hard-to-bear symptoms that could be triggered will most likely include tremors, convulsions, headache, muscle pain, nausea and hysteria. When the withdrawal symptoms are not treated with meds, they could bring on a heart attack. So a medically supervised detox is the most viable method for sustained alcohol abstention in the long run. Remember that while it is possible to slow the level at which alcohol goes into your body, you cannot control the rate at which it exits the body. It will be metabolized at a regular rate. How are alcohol detection tests done? A variety of testing methods are used to detect alcohol in the blood, urine, sweat, saliva, breath and hair follicles. These tests will be looking for the presence of ethanol or EtG which are alcohol derivatives. Alcohol may be detected in saliva up to 5 days after the final drink was taken, and in hair follicles, up to 90 days later. Breathalyzer tests may be used to quickly determine the existence and level of alcohol ingested. They are not complex and they are commonly used in DUI instances. They are considered reliable because the alcohol in the breath is not transformed chemically. Neither is it digested. Alcohol may be detected in the breath up to 24 hours after the final drink. The amount of ethanol in your body may also be determined by a blood test done a few minutes after the alcohol was initially taken and most accurately an hour after. However, an alcohol blood test can detect alcohol up to 12 hours later. The blood test is purely for examining alcohol levels in the system and not for determining how long the alcohol was taken in or whether the client is a mild, moderate or chronic alcohol user. A blood test is common in a medical set up and is regarded as the most accurate way of determining BAC in the system. How reliable are alcohol blood tests? Excessive amounts of alcohol-related disinfectants may have been used to clean the area where the syringe entered the body to withdraw blood for testing. Tests were performed on diabetics who had an excess of blood ketones possibly with alcohol content. Clients were taking cough mixture, anti-depressants and other medications. 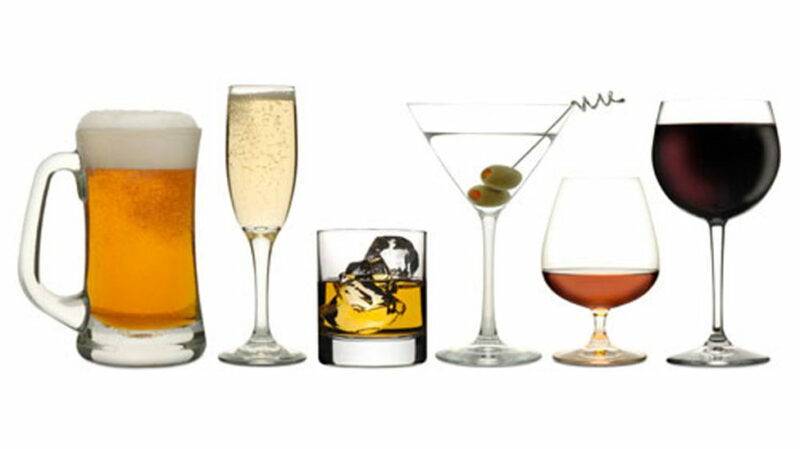 These products may hinder the processing of alcohol, thus leading to higher BACs. They may also increase the period in which alcohol may be detected in the body. To help forestall these problems, it would be a good idea to be upfront about any medications you’re currently taking or about any medical conditions you may have, before you submit to the test. It’s also prudent to avoid using alcohol-related disinfectants during testing. Another factor that could result in a false-positive outcome is dehydration. So you should avoid becoming dehydrated. It’s been known to obstruct the liver’s ability to breakdown and expel the alcohol. As mentioned earlier, when alcohol enters the system, it hits the bloodstream where 90 percent of it is metabolized and disposed of by the liver, while the remaining 10 percent is dispersed to other areas of the body. The liver will do its best to dispose of the alcohol in those areas but whatever it can’t process will be left to the body parts to dispose of in their own way. About 5 percent of this alcohol enters the kidneys, and starts being excreted via urination. The good thing is that alcohol suppresses the emission of vasopressin, a substance responsible for fluid retention in the body. With this substance out of the way, the body can start to expel the alcohol about 20 to 30 minutes after it’s been ingested. The amount you drink will determine how long the alcohol may be detected in your urine. On average, alcohol remains within the urine for between 12 and 36 hours. The ethanol may be detected through the use of the standard urine tests. The majority of urine tests can detect alcohol or its derivative, ethanol around 48 hours after it was taken in. The aim of the standard urine tests is to register simple positive or negative results. They are not intended to measure an individual’s level of drunkenness. Can Ethanol tests be trusted? Ethanol tests are not 100 percent reliable. That’s because they also pick up on the ethanol that is not related to alcohol intake. This ethanol includes the type created through body bacteria such as yeast infections, and via certain medications. So your urine may return a positive alcohol result when you haven’t ingested any alcohol, or when you’ve taken in less than the result indicates. EtG is the abbreviation for ethyl glucuronide, a substance that is created when the liver metabolizes the alcohol in your system. EtG lingers on in the body for a greater period of time than ethanol. An EtG urine test can detect the consumption of alcohol 2 hours from when it was last taken. EtG tests are becoming increasingly common because while most urine tests can spot alcohol around 48 hours after it was ingested, the EtG urine test detects alcohol up to 4 days or 80 hours from it being metabolized via the liver. So the EtG test can detect alcohol intake beyond the time frame of other tests. It can do this even for moderate drinkers. The detection of EtG within the urine is seen as a reliable indicator of the recent consumption of alcohol. Studies have also shown that EtG tests can detect even the minutest levels of alcohol. They’ve been known to detect the ingestion of just one beer more than 12 hours later, and of vodka shots (taken one after the other), more than 45 hours later. They are brilliant for detecting alcohol in those who are prohibited from taking it such as children below the age of 18. Are EtG tests completely reliable? So EtG urine tests are regarded as the ultimate in alcohol testing but they may be misleading when quick results are needed as in DUI cases. If an individual had alcohol a day or two before the test, and is no longer drunk, the EtG test could register a positive result. Moreover, since the EtG test can detect even the smallest levels of alcohol, it can also pick up on alcohol that is not ingested such as the alcohol contained in deodorants, aftershave lotions, cosmetics, and disinfectants. Consequently, it can register a false positive result. So in concluding, it’s safe to say that it’s important to know how long the alcohol lasts in your body not only for legal issues connected to DUI, but also in order to avoid the physical or mental impairments it gives rise to, including the dangerous consequences of mixing the alcohol with medication.